Shutran™ Beard Oil features the great scent of our original Shutran™ essential oil blend, specially crafted to soften, condition, and add a healthy-looking sheen to facial hair while moisturising the skin underneath. 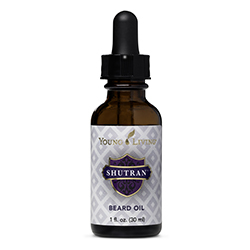 Designed to absorb easily into hair and give it a soft, natural-looking shine, Shutran Beard Oil is perfect for everyday use. Formulated with pure ingredients such as apricot kernel oil and wolfberry seed oil, this beard oil will help keep your skin hydrated and leave your beard smelling great with the masculine scent of Shutran.